Hi, how was your weekend? I wish I could say that the grape costume pictured above was mine but I was much less ambitious dressed up as a burglar (all black? I've got that + ten pounds to buy a cheap beanie and a pair of fingerless gloves). I know, so lame but I only ever do Halloween for social purposes... I'm a total creative contradiction when it comes to this holiday for some reason. 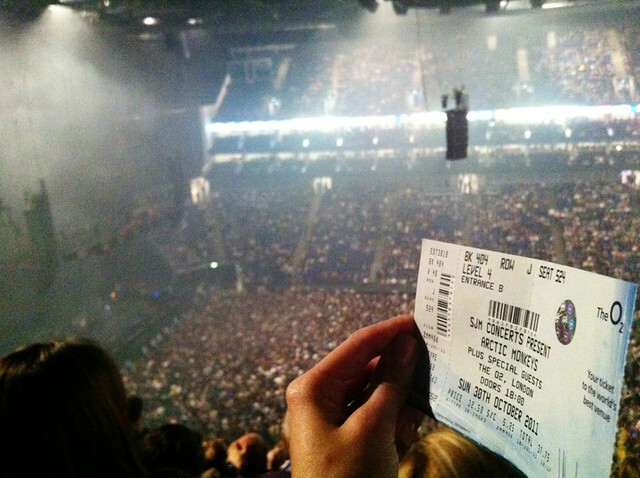 It was good fun though and I guess that's why I fall for it year after year. • a trip to exchange pants at Levi's turned into a shopping opportunity at Anthropologie. I'm so in love with my new cozy sweater and colorful skirt! • we also bought this rug from Anthro since it was the cheapest 5x7 we've seen and liked enough to put in our home (extra brownie points for being re-purposed denim!). Once at our flat, we were inspired to change things up a bit so we spent some time re-arranging our furniture layout. 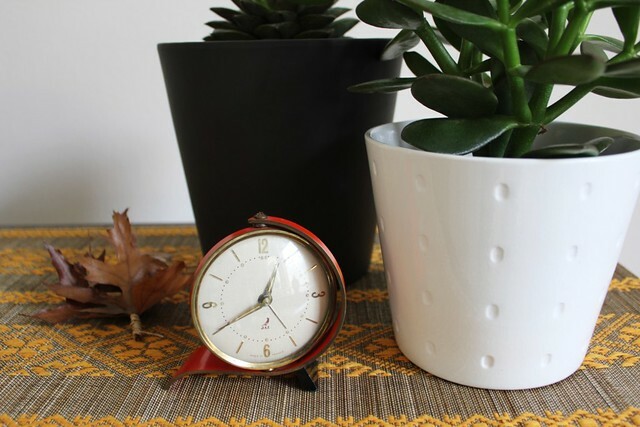 The living room still has some way to go decor-wise but at least we've got a few simple little touches like our succulents and a vintage clock to keep us company. 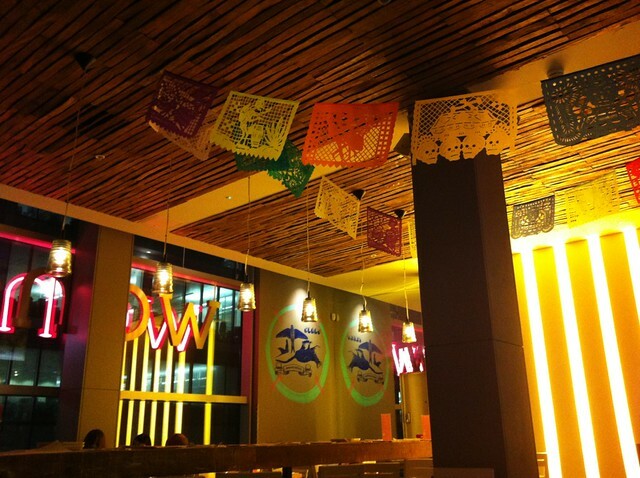 • ate dinner at Wahaca, a Mexican street food restaurant chain. It was okay, but we're still on the hunt for good and simple Mexican food (we may be kidding ourselves, I know). All content is original work by Ana Maria Muñoz unless otherwise stated. Please share nicely when pinning and re-posting. Giving credit is caring...and cool.